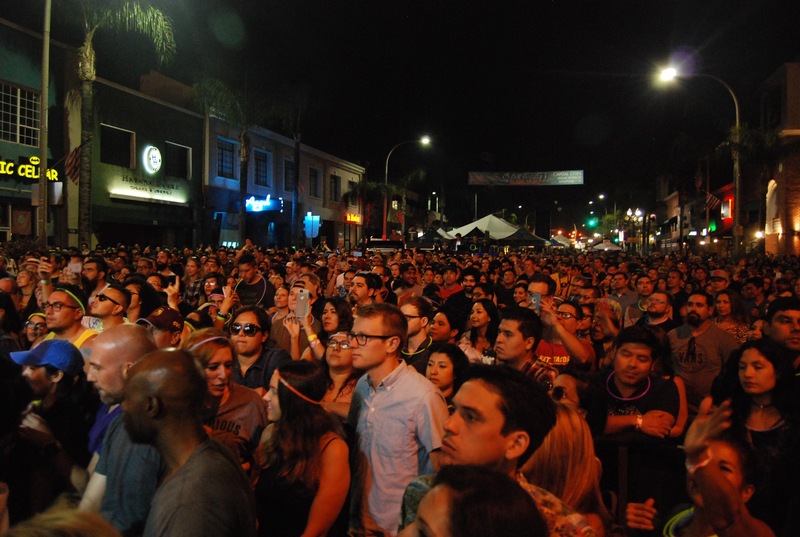 For its inaugural event this year, MainFest Alhambra shut down several blocks in downtown Alhambra, a city of less than 100,000 residents whose only affiliation with music before was being the hometown of Kenny Loggins and the scene of some sketchy Phil Spector behavior. 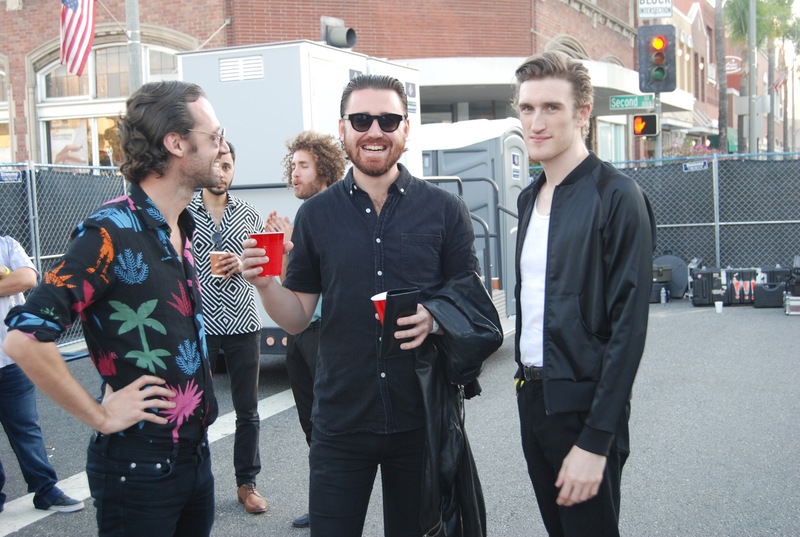 That all changed when the initial teasers for MainFest dropped in July boasting Capital Cities, Miami Horror, and !!! (Chk Chk Chk) as headliners. 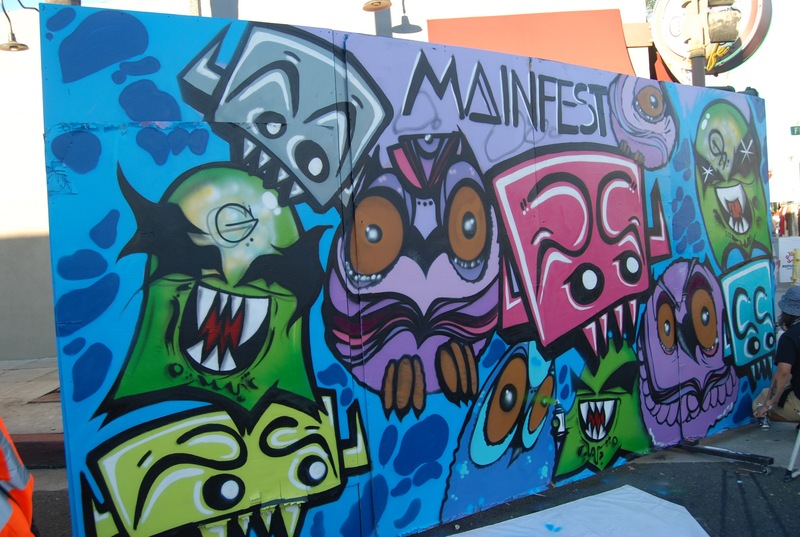 The MainFest lineup was subsequently finalized toward the end of August, with Nite-Jewel’s and Dam-Funk’s collaborative side project Nite-Funk added to the roster as well as a slew of local talent and DJ’s. 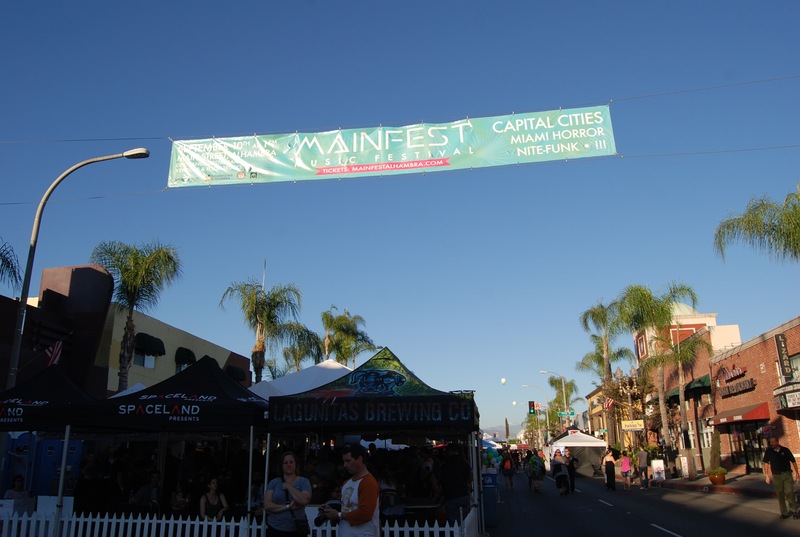 As maiden voyages go, getting around and into MainFest was a chore, with several security staff members sending festivalgoers in circles trying to find their way in. 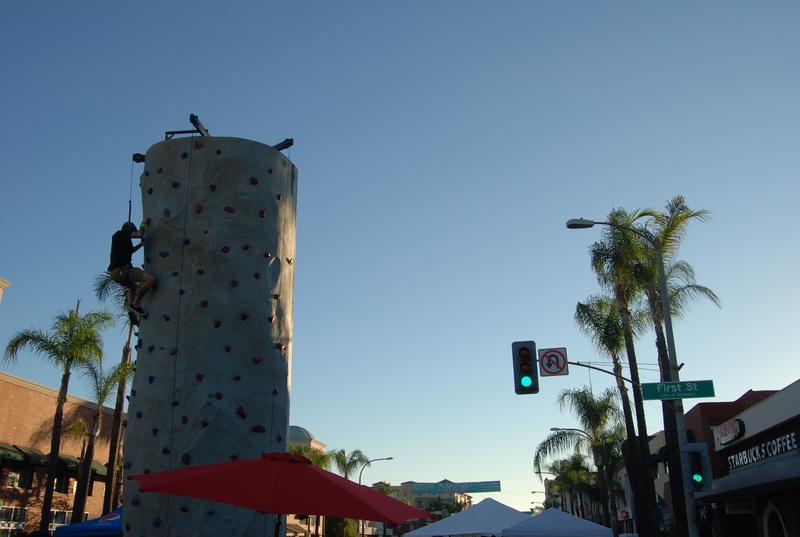 Once inside, guests were treated to free rock climbing, a live graffiti installation (with the back side serving as an open space for anyone to spraypaint) and an assortment of food/drink options, including food trucks and all the restaurants along Main Street. Nite-Funk’s set was comprised of several tracks from their eponymous studio effort as well as singles from Nite-Jewel’s and Dam-Funk’s solo projects, making it easy to see why these two underground electronic artists have been teasing an EP since 2009. 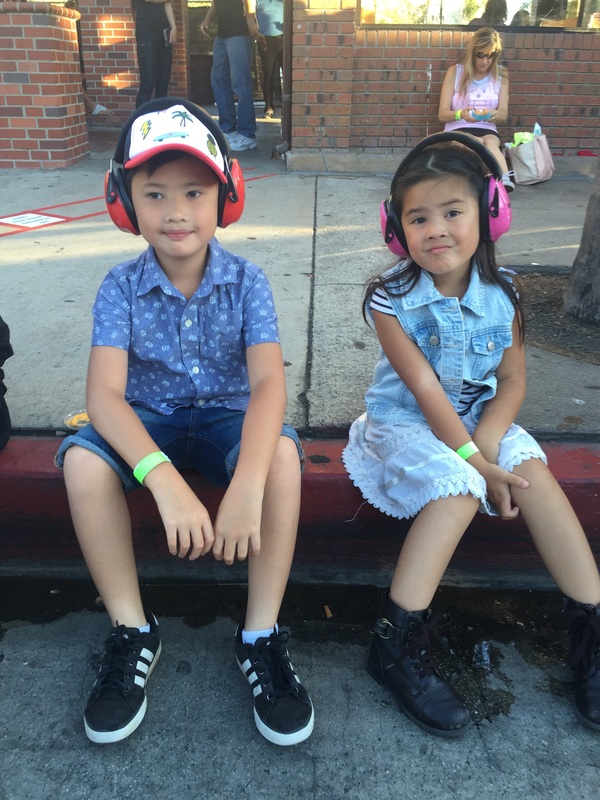 Next up on the main stage was !!! (Chk Chk Chk), who have been creating their unique brand of upbeat dance-funk for almost two decades and without a doubt brought more energy than anyone else at MainFest. But if you have ever seen them live, you probably already knew that. 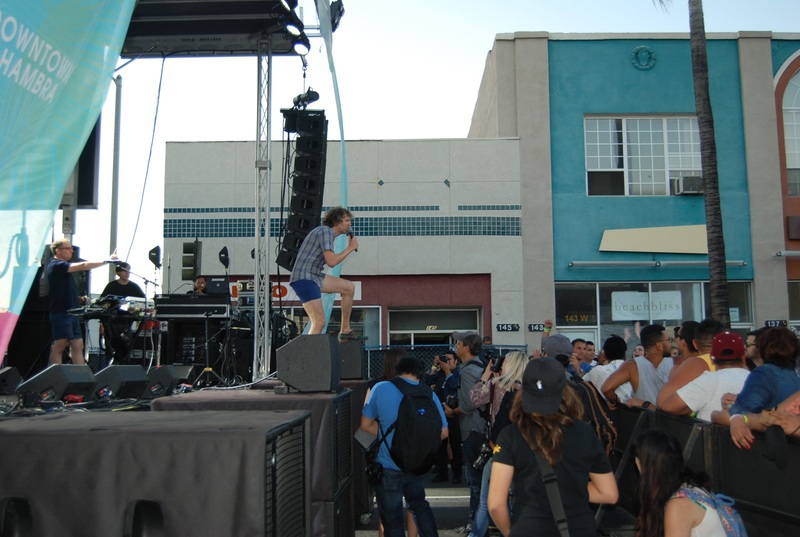 Lead singer Nic Offer worked the crowd with his trademark aerobic gyrations, spending most of his time on top of the speaker cabinets and even wandering into the crowd for a song. Even though !!! 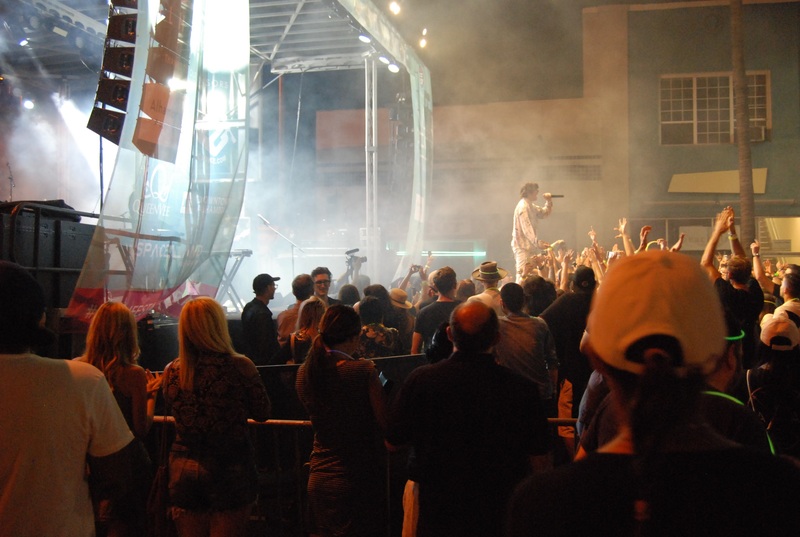 have never reached the success of the acts who would follow them on the festival’s main stage, let’s hope they never slow down because they are just too much fun to watch live. 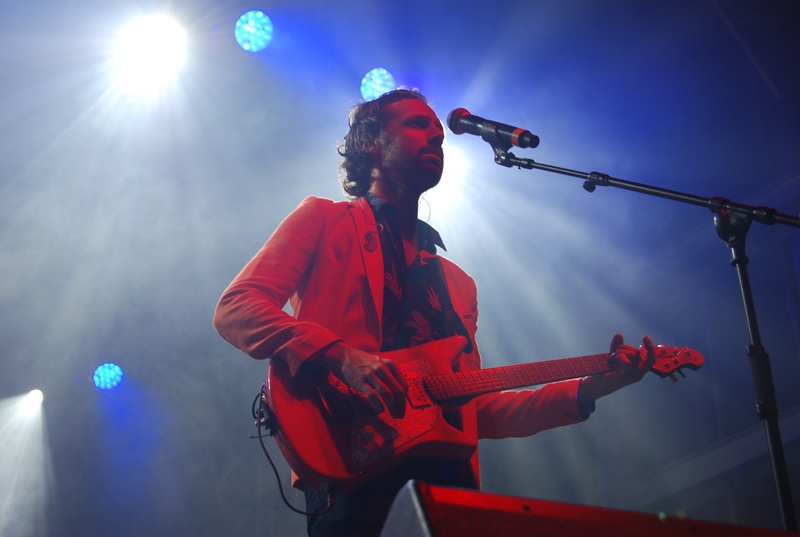 While the sun set, Australian indietronica band Miami Horror got the crowd moving and grooving with their nu-disco stylings. Lead singer Josh Moriarty shared vocal duties with Aaron Shanahan, each providing a contrasting style for the songs they fronted. 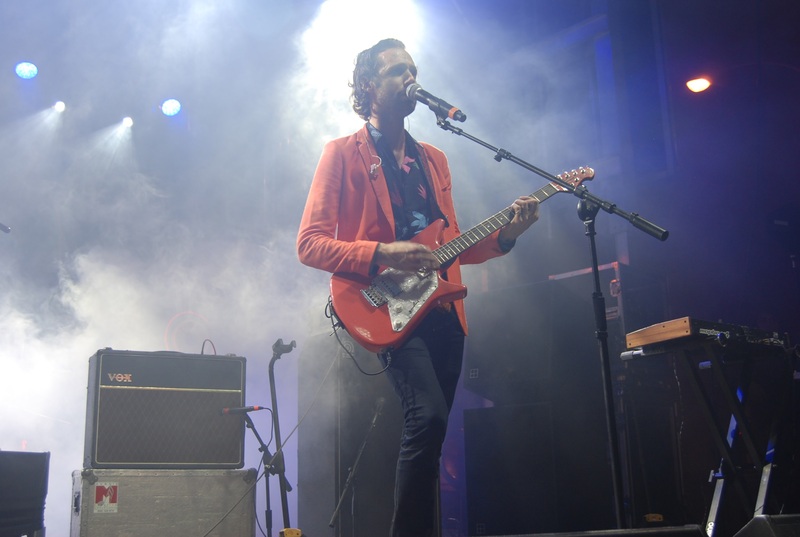 Though a number of Miami Horror’s songs are somewhat slow for a dance act (in fact, one of their tracks is titled “Real Slow”), some of them (“Sometimes”, “Holidays”) can make the most introverted wallflowers cut up the dance floor. 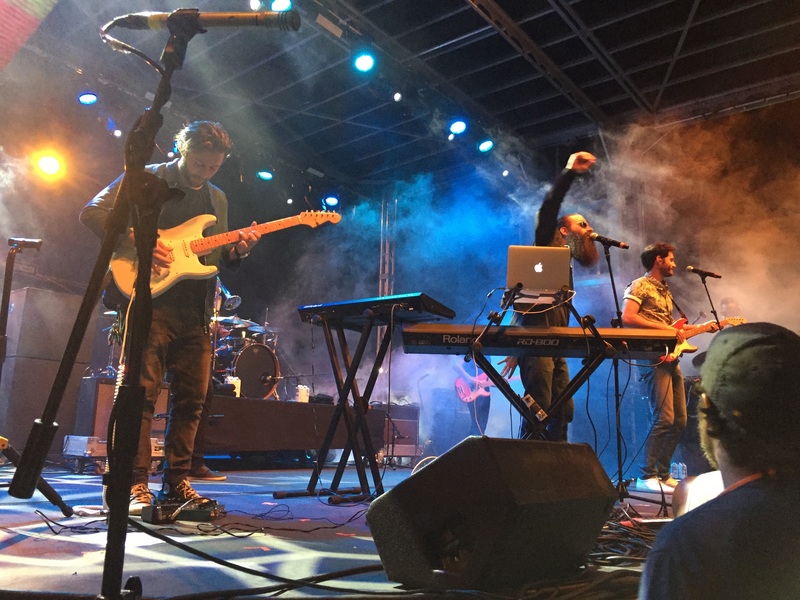 ​Closing out the debut of MainFest was LA’s own Capital Cities, whose breakout single “Safe and Sound” has kept them busy touring ever since it was released, leaving Ryan Merchant’s and Sebu Simonian’s days of writing commercials and jingles together a thing of the past. 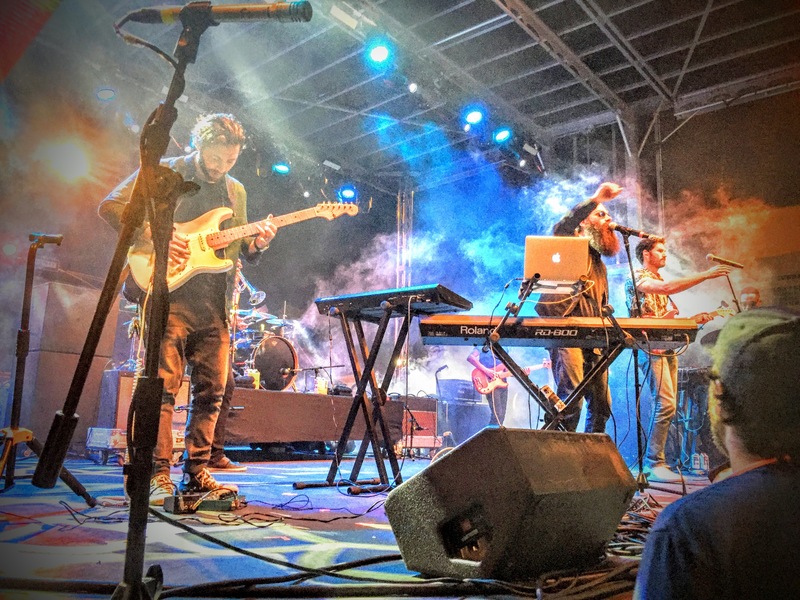 Their debut album In a Tidal Wave of Mystery lived up to the hype that “Safe and Sound” promised, and at MainFest, they announced that their sophomore studio effort was near completion. 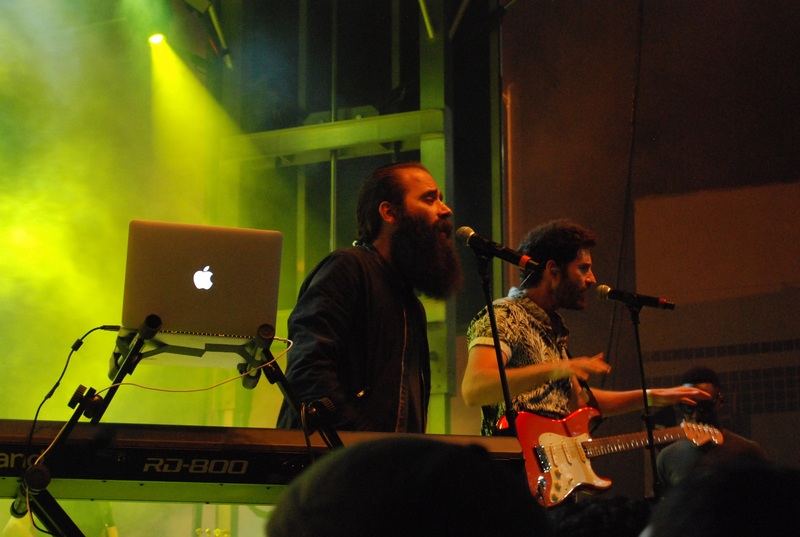 Capital Cities breezed through crowd favorites, from the bass-thumping “Origami” to the singalong-inducing “Kangaroo Court”, before performing the first of what appeared to be multiple renditions of “Safe and Sound”, culminating in an EDM club-ready version to close out the night. 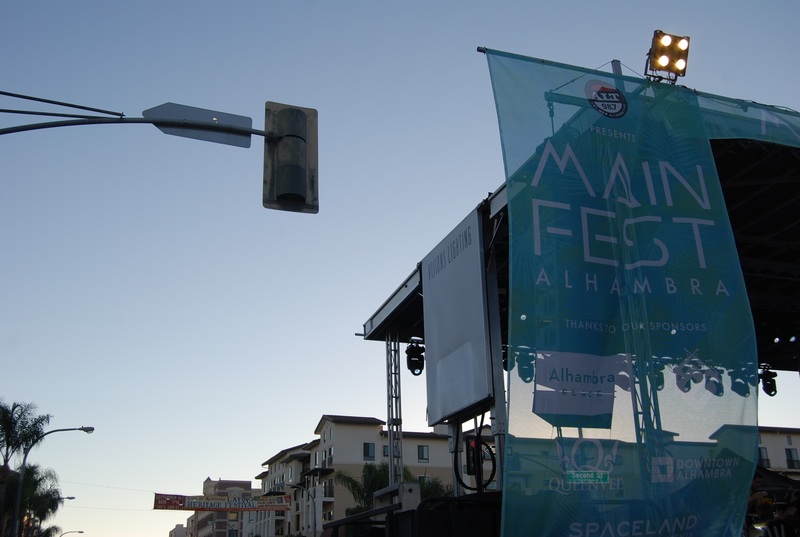 All in all, the City of Alhambra had to be pleased with what they accomplished for the very first MainFest, and considering Los Angeles has nearly 100 suburbs, you can’t help but imagine others will soon follow suit.